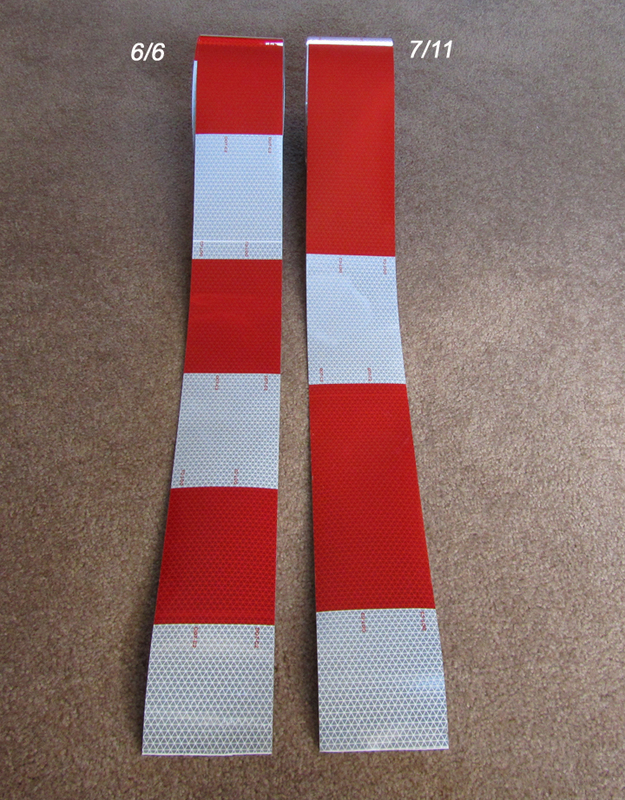 Our 3″ & 4″ Reflexite 7/11 V92 rolls consist of even 6″ red and white alternating stripes. This is a very bright prismatic tape that can be clearly seen from over a thousand feet away. Reflexite invented prismatic tapes and their products are superior to other brands because they are made in a single layer. This means that the Reflexite tapes will not de-laminate or separate like other brands. Reflexite tapes continue to reflect even after tremendous abuse. 3″ & 4″ DOT C2 (also known as C3) are certified for all DOT applications. 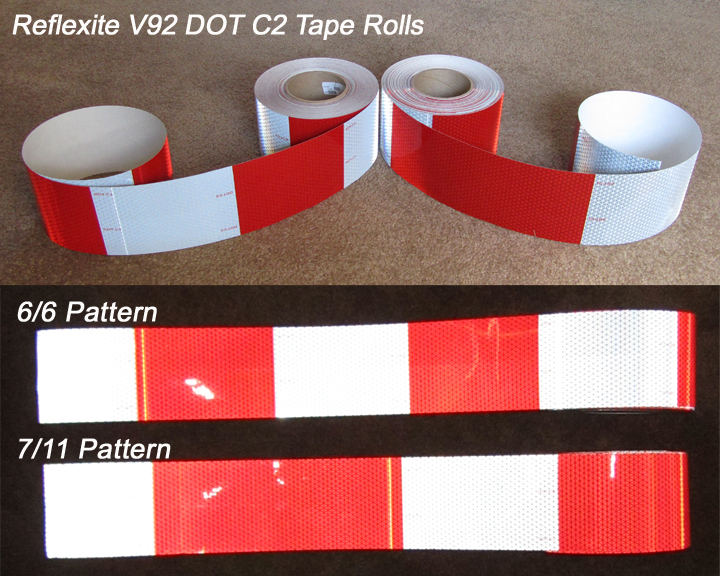 We recommend the wider DOT tapes for larger vehicles. For example, Waste Management uses the 3″ rolls on their trucks. On this page we carry the Reflexite 7/11 V92 rolls in 3 & 4 inch rolls. You can purchase both 30 foot and 150 foot rolls by clicking the buttons below. 3″ & 4″ rolls of DOT tape sold on this page.